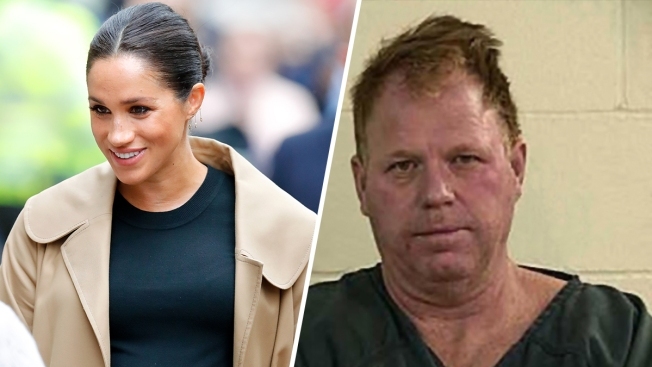 Meghan Markle (L) and a January 2018 mug shot of Markle's half-brother Thomas Markle, Jr., arrested then for threatening his girlfriend with a gun. Markle, Jr. was arrested Jan. 11, 2019 for drunk driving. The half-brother of Meghan, the Duchess of Sussex, is facing a drunken-driving charge after an arrest in Oregon.